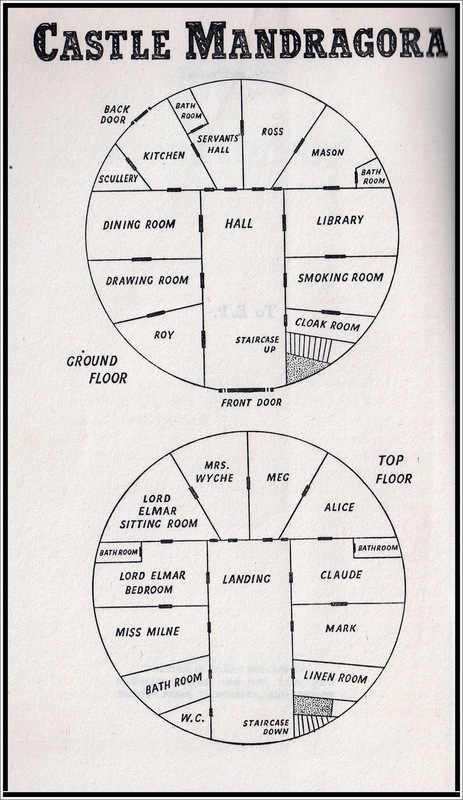 Graphic from a Harlequin House publication. 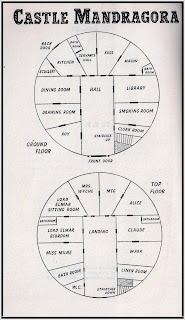 These graphics were found on My Love-Love Haunted Heart, a blog whose writer is fascinated by vintage Gothic romance fiction. She presents a great collection of art, mostly from book covers. 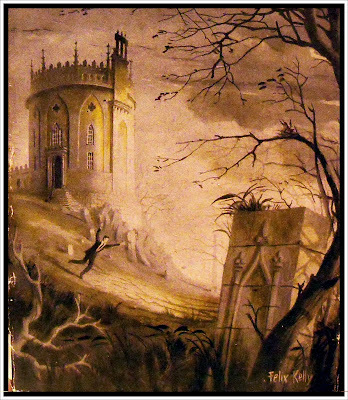 The majority feature damsels in distress running away from grand castles and large homes (two of the main themes of Victorian Gothic mystery fiction). With the exception of the above image, they are all vividly colored and a seem a bit too dramatic, although probably not for their intended audience of book buyers. See more examples on here site: My Love-Haunted Heart. 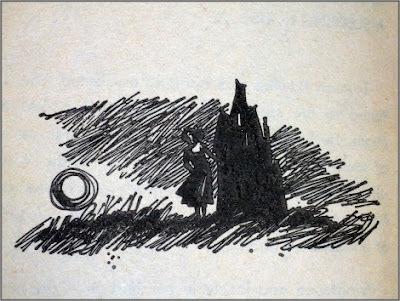 The above image reminds me of the very good Gothic ghost story (written in the 1980s by Susan Hill), The Woman in Black. It's a great read it was a big hit on the London stage, and it has now been made into a movie (set to be released in Feb 2012) starring Daniel Radcliffe. The movie looks good (so far from previews) but I should also point out that there is already existing an excellent, hard to get, made for TV version that is well worth watching. 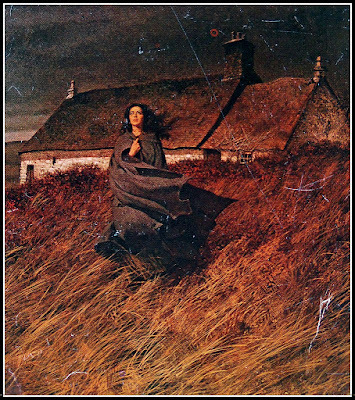 Keep an eye out for an upcoming posting on The Woman in Black. 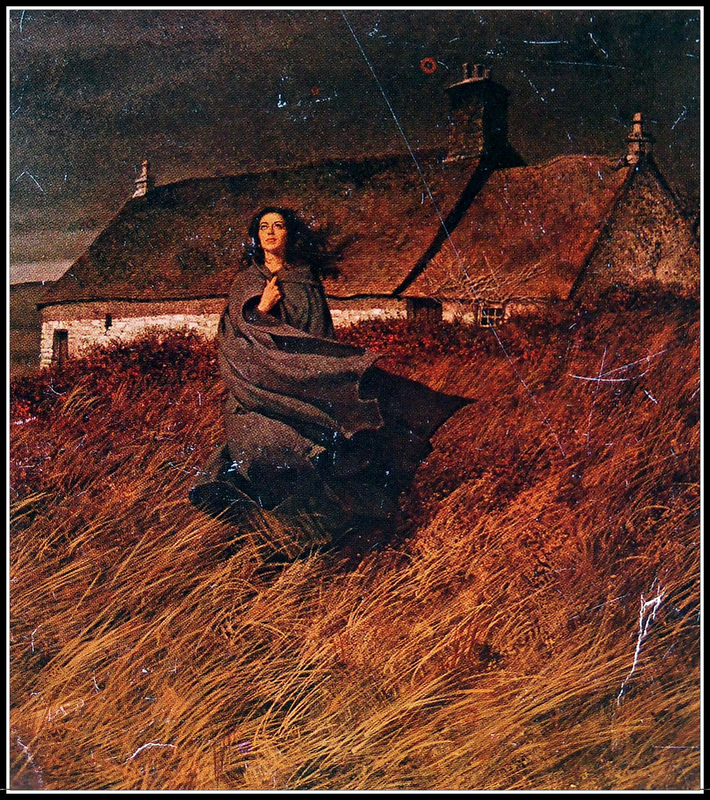 Robert McGinnis illustration for Bantam's 1974 Wuthering Heights. 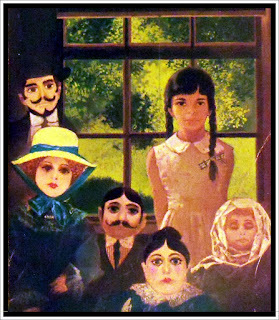 From Voice of the Dolls. Hi Tom, thanks for the link and kind words. Woman in Black is a fine book and I loved the play. I didn’t know about the new movie so thanks for the info. Interesting that you seem more drawn to the Harlequin pen & ink graphic rather than the covers - quite a few gothics feature these drawings so if I come across any more I’ll send them on. 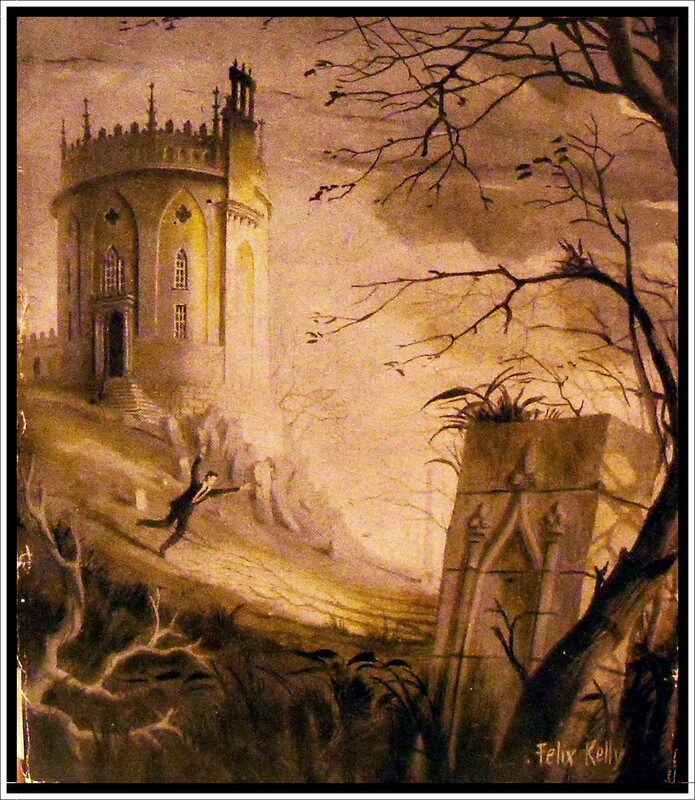 You’re right though, as far as my tastes are concerned anyway, no cover art can be too dramatic for a gothic romance! Hi Sara! Yes, for some reason the pen and ink appeals to me. I do like many of the others however too... but for some reason black and white seems more sinister. In the past year I read some of the classics. 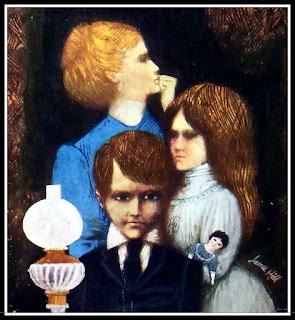 Have you read The Woman in White or The Moonstone by Wilkie Collins? I read them and then a few of his short stories. Good reads. Yeah, I particularly like his short stories – The Lady of Glenwith Grange and A Terribly Strange Bed are two of my favourites.